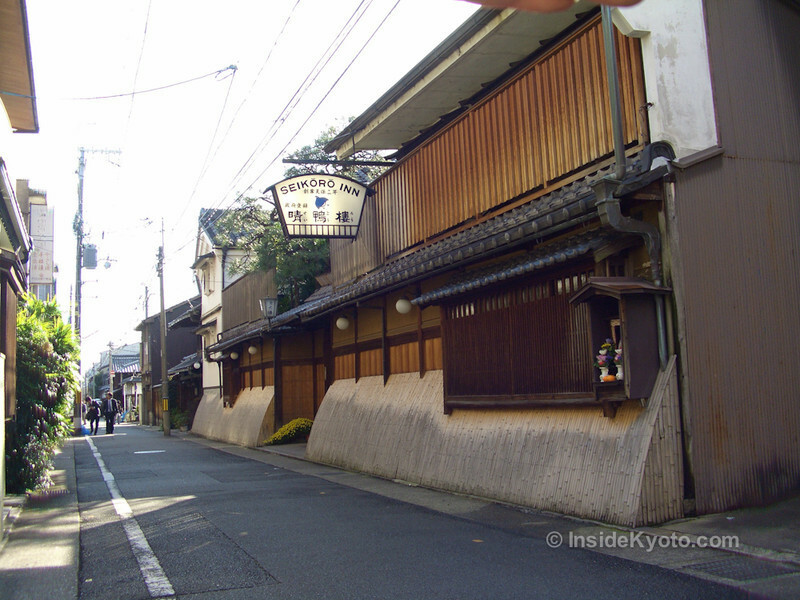 If you’d like to try a ryokan (traditional Japanese inn), Kyoto is the place. Kyoto has the Japan’s best selection of ryokan in all price ranges. Here, we explain ryokan and give our top picks, all personally inspected. In a hurry? Scroll down for our top ryokan picks, otherwise, read the following sections for an introduction to Kyoto ryokan. 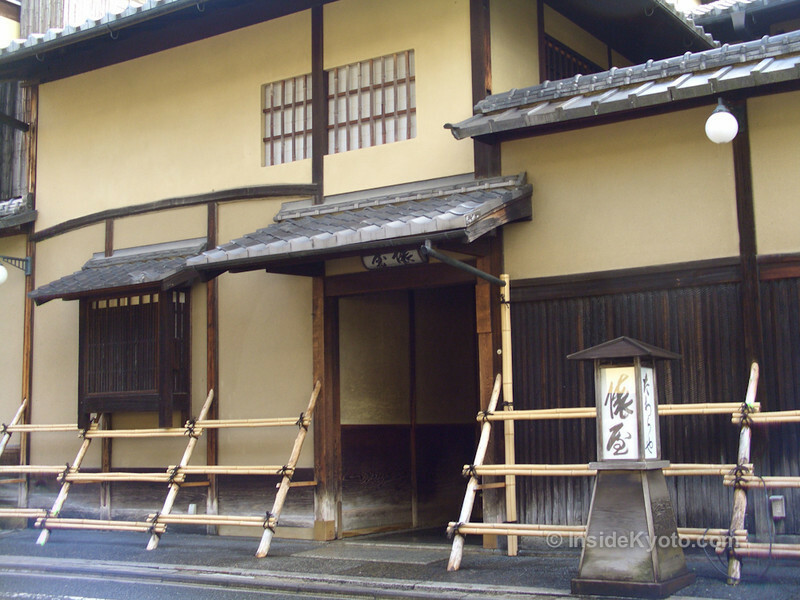 Simply put, a ryokan is a traditional Japanese inn. That means, the room, and (sometimes) the entire building, is Japanese style. So, you sleep in futons on tatami mat floors. Ryokan usually include meals in their prices, but some places allow you to choose breakfast only or no meals. At nice places, you are served your meals in your room, which is a wonderful experience. Traditionally, even fancy ryokan had only common bathtubs, but these days, many ryokan have en suite bathtubs and bathrooms. You’ve probably seen pictures of ryokan. 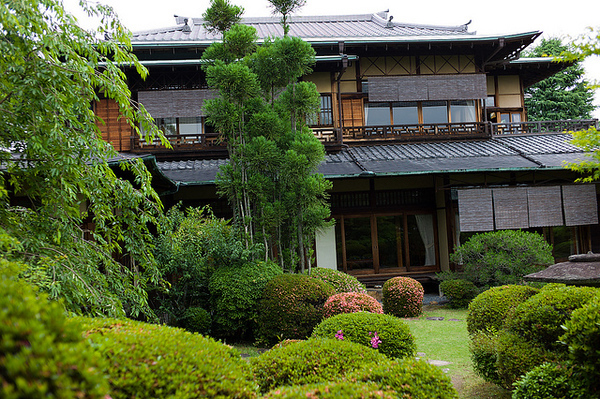 These are usually pictures of high-end ryokan, which are traditional wooden buildings with superb gardens. Kyoto’s high-end ryokan are great examples of such ryokan. However, most mid-budget and budget ryokan are actually built inside modern buildings that look much like hotels from the outside: Only the service and the guestrooms are traditionally Japanese. How do you stay at a ryokan? Staying at a ryokan is a little different from staying in a hotel. First, you remove your shoes in the lobby (usually where you step up from ground level into the lobby area). Next, you are shown to your room, where a cup of tea and a traditional sweet or cracker will be waiting. If it’s already evening, you will change into the yukata (light robe) that the ryokan provides. At a nice place, you will be served dinner in your room, otherwise, you will dine in a common room with other guests, or in a restaurant. After dinner, you will take a bath either in your own bathroom or in a common bath. While you are bathing, a maid will lay out your futons. Of course, many cheaper and more modern places may skip some or all of these steps and your stay will be pretty much like staying in a hotel – the only difference will be the futons and tatami mats instead of beds and carpets. How much does it cost to stay at a ryokan? How many nights should you stay at a ryokan? Staying at a ryokan is slightly more formal and involved than staying at a hotel. It’s a bit like staying at the house of a very gracious friend. But, make no mistake: You should definitely try staying in a ryokan. It’s a once-in-a-lifetime Japanese experience. And, when you think of it, it’s a very rare experience, because traditional accommodations are disappearing in Asia. Other than yurts in Mongolia and losmen in Indonesia, there really aren’t any traditional lodgings left – only standard-issue hotels that are the same everywhere in the world. Thus, ryokan are truly special. I usually recommend that people stay at a ryokan for one or two nights at the start of their time in Kyoto, and then move to a hotel to enjoy the freedom and ease of staying at a hotel. 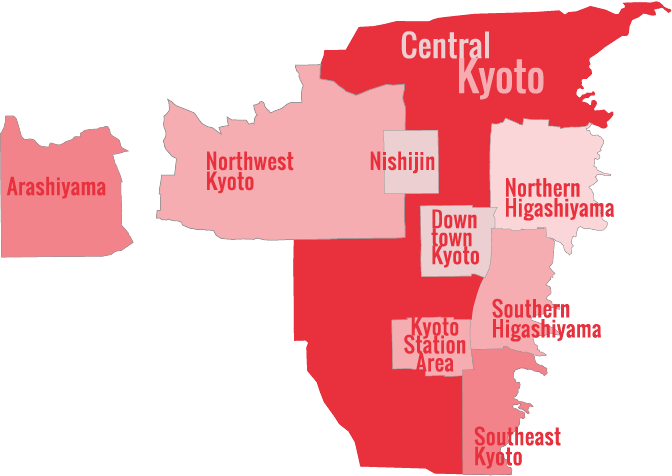 For some recommended hotels, see our Kyoto Hotels page. Here are our picks for Kyoto’s best ryokan, divided by price and category. I’ve personally inspected all of these, and family, friends and clients have stayed in them and given me their feedback. 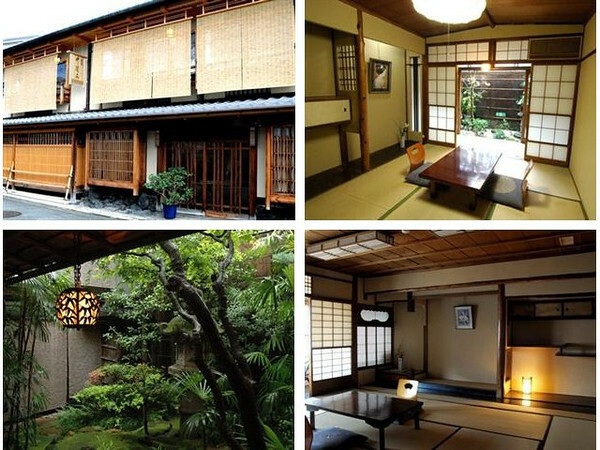 Any one of these ryokan would be a great place to sample the Japanese ryokan experience! Kyoto’s best luxury ryokan are among the best ryokan in Japan. Here is where you can sample the true ryokan experience: a superb traditional wooden building, private gardens, sumptuous kaiseki meals, and legendary Kyoto service. For full details and our top picks, visit our Best Ryokan in Kyoto page. Even at mid-budget prices, you can still enjoy a great ryokan experience. Your choices will range from hotel-style modern ryokan to traditional wooden ryokan. Visit our Best Mid-Budget Ryokan in Kyoto page for our top picks. There are some great budget ryokan in Kyoto. For our top picks, visit our Best Budget Ryokan in Kyoto page. Ryokan are a great choice for families, because you can all sleep in the same room. And, in some cases, you can all eat dinner in your room, so you don’t have to worry about kids misbehaving in a restaurant. For our top picks for family-friendly ryokan, visit our Best Kyoto Ryokan for Families page. Ryokan are inherently romantic. Indeed a few nights in a good Kyoto ryokan would make for a great honeymoon. Visit our Best Kyoto Ryokan for Couples page for our top picks. 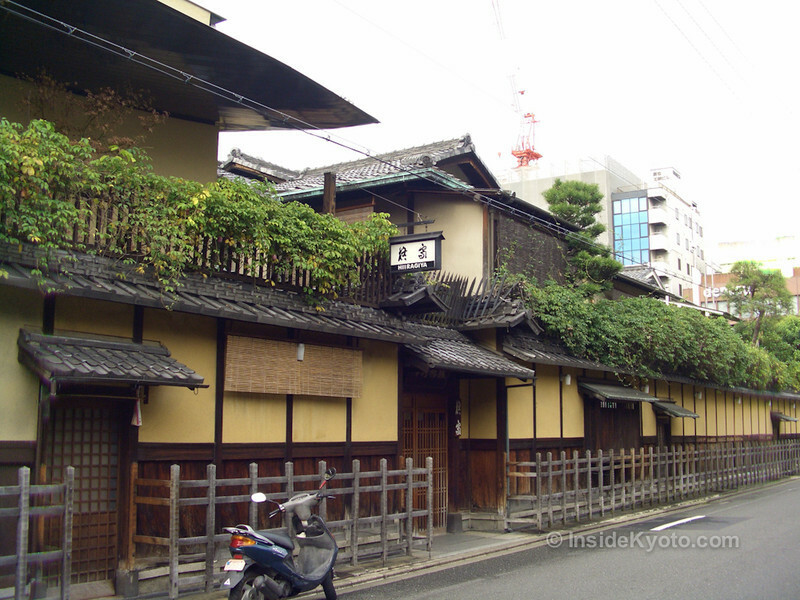 If you really want to experience Japanese-style lodgings, but want a bit more freedom, flexibility and space, you might also consider staying in a classic Kyoto machiya (traditional townhouse). Essentially, these are Japanese-style vacation rentals. Visit our Kyoto Machiya page for more details and top picks.